So you are thinking about investing in a camper trailer? Before rushing into buying your first camper it is important to become better acquainted with your options. In this feature we tackle the major differences between hard floor camper trailers and soft floor camper trailers. Hard floors campers typically provide the occupants with less space than soft floor campers. If you are travelling with kids or a small group it is necessary to consider the space available for both the occupants and storage of equipment. Comparability, soft floors camper trailers typically provide more space. Soft floor camper trailers are normally cheaper than hard floor campers. 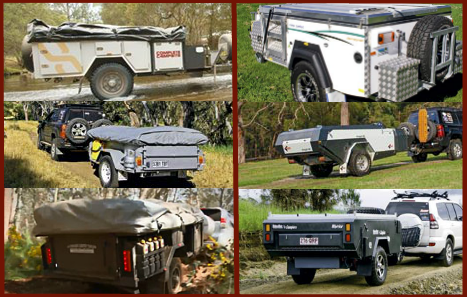 However both types of camper trailer are becoming more competitive in price. Offroad campers will cost you more so you will also need to take that into consideration. Is price a consideration? Find out more about buying a budget camper. Hardfloors are quicker to set up and pack up than soft floor campers. If you will be setting up camp in a new location every night a hard floor may be the right choice for you to save time and effort preparing your home away from home. Keeping a soft floor trailer clean is more difficult than cleaning a hard floor camper. On any camping trip it is almost guaranteed that mud, dust and dirt will find its way into the interior. Hard floor campers have a PVC floor which makes them considerably easier to keep clean than softfloors. 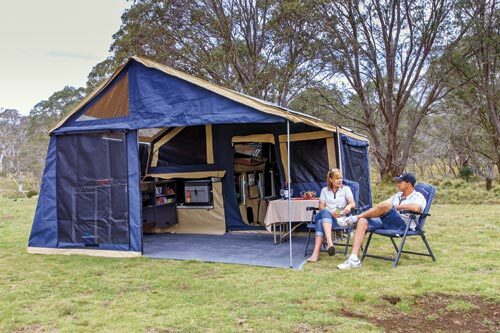 Hard floor camper trailers typically weigh more than soft floor campers however it is advised to assess each camper trailer on a case-by-case basis. Lighter trailers help to save money on fuel and also assist in accessing more remote areas. Find out more in our hard floor camper trailer guide. Ready to buy? Browse new and used camper trailers for sale online.